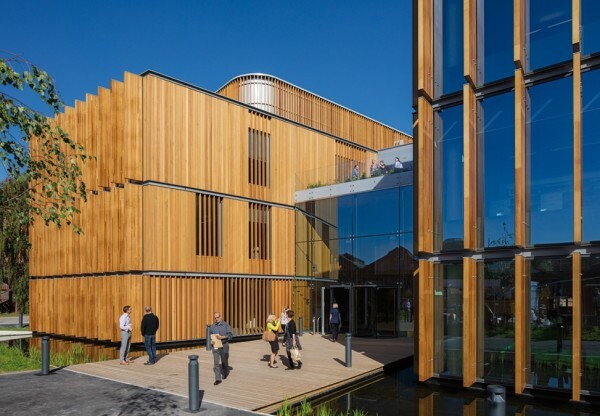 Hopkins Architects were appointed to design a new research and education building at Alder Hey Children’s Hospital in 2013, following an RIBA Competition. 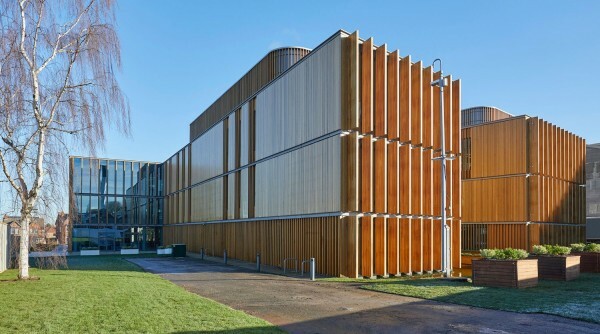 Completed in summer 2018, the ‘Institute in the Park’ was designed to be built in two phases on the site of the old hospital adjacent the new Children’s Hospital. 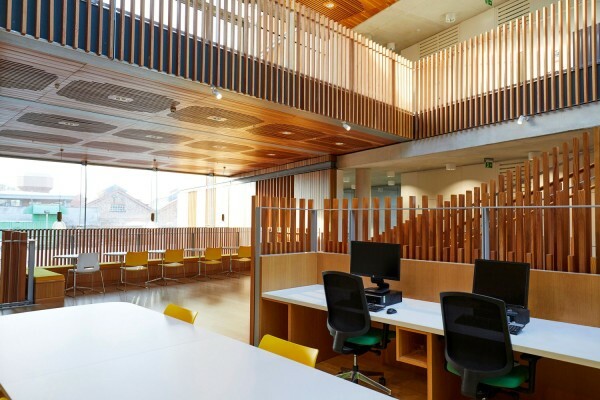 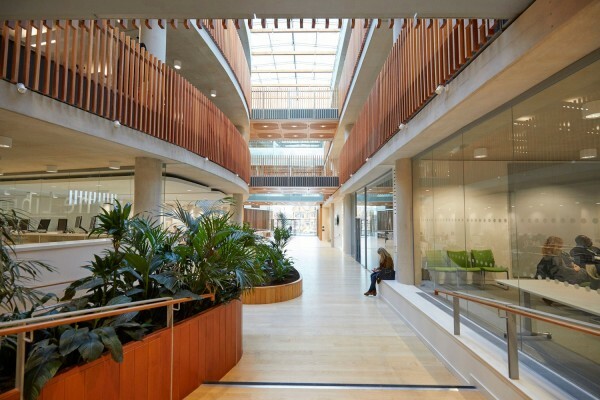 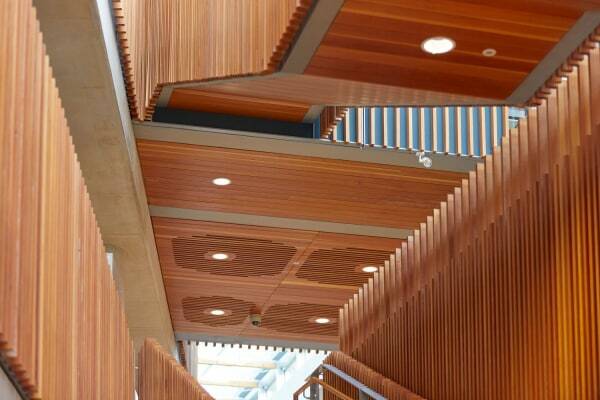 The building houses a mixture of spaces to support the needs of the NHS Trust and their four University partners - research and teaching laboratories, offices, meeting rooms, lecture theatres, breakout spaces, a café and a library. 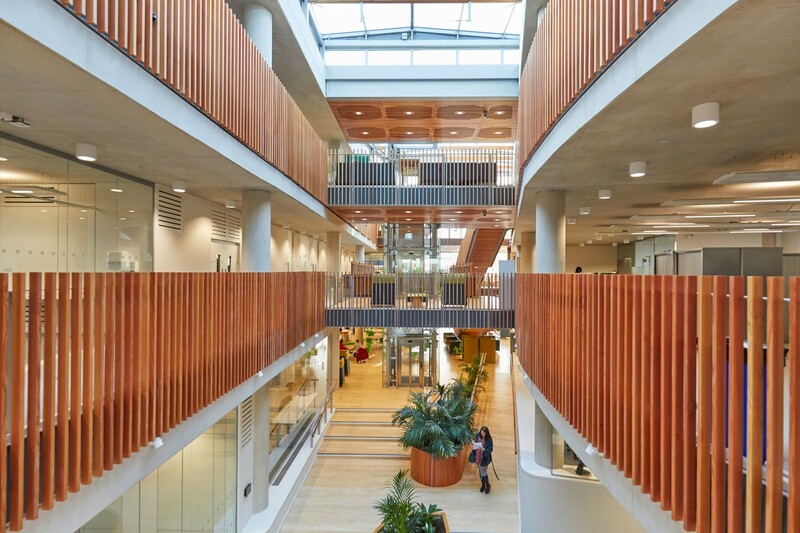 Between two modular and efficient wings, a curvilinear central atrium is enhanced by communal internal and external spaces at all levels, encouraging interaction and collaboration between researchers and visitors and establishing multiple connections between the Institute and the Park. 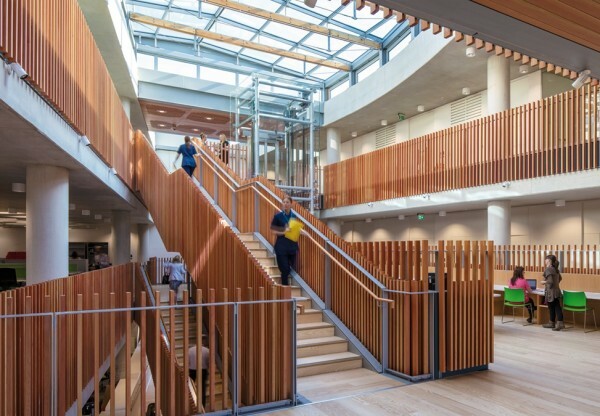 The three-storey design and central stair encourage circulation through the building and minimise the use of the central lift. Once the hospital masterplan is realised, the Institute will sit comfortably in the parkland and act as a serpentine extension by drawing planting and light into the heart of the building. The Ground Floor steps down from east to west to respond to the topography of the site, providing inclusive access using a series of gentle ramps through the building. 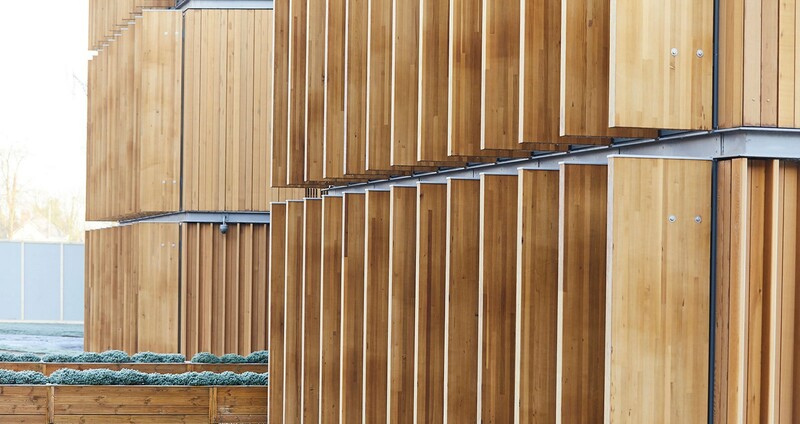 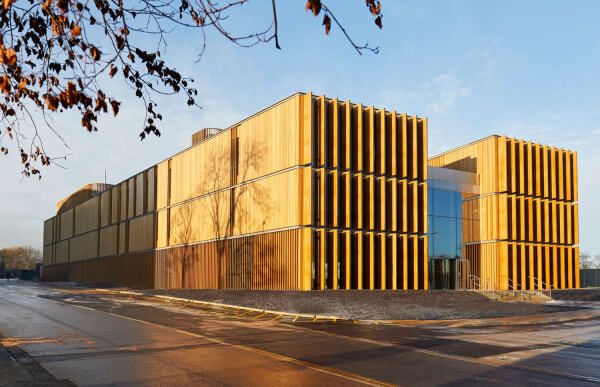 Timber has been used both internally and externally to respond to both its parkland setting and avoid an institutional environment. 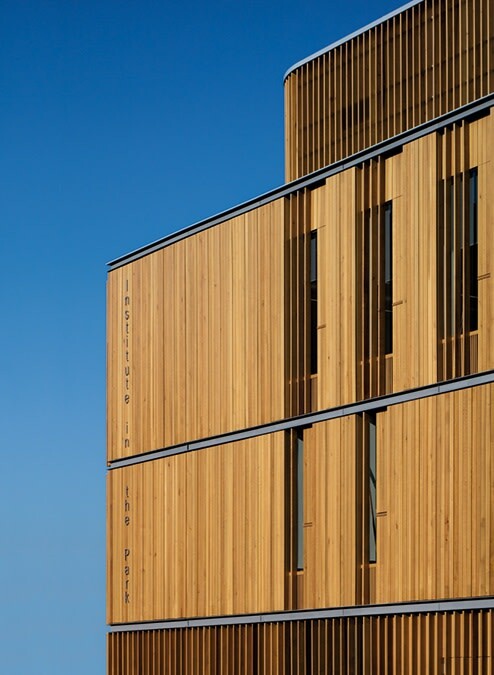 The modular nature of the façade has not only reduced installation time, but has provided ‘value for money’ for the NHS Trust. 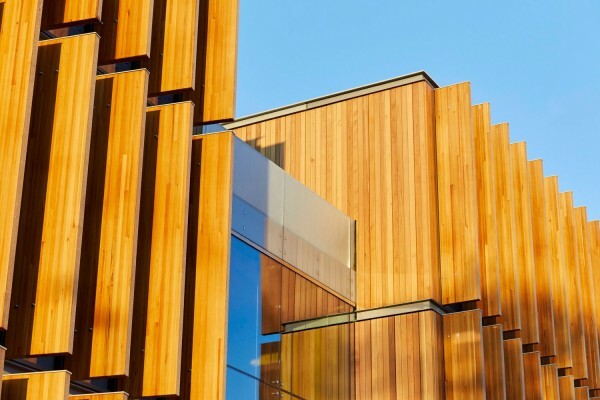 The exposed frame and soffits of GGBS concrete, embedded with heating and cooling coils provide a self-finished, low energy and resilient construction, which, together with the building’s modularity, will provide a long-life building for the Trust.